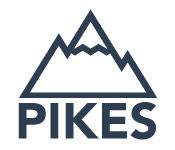 PIKES is a Java-based suite that extracts knowledge from textual resources. The tool implements a rule-based strategy that reinterprets the output of semantic role labelling (SRL) tools in light of other linguistic analyses, such as dependency parsing or co-reference resolution, thus properly capturing and formalizing in RDF important linguistic aspects such as argument nominalization, frame-frame relations, and group entities. 2018-05-25 Paper on PSL4EA accepted at ISWC2018! Additional material available here. 2018-04-16 Paper on JPARK accepted at IJCAI-ECAI-18! Additional material available here. 2017-10-27 Added instructions to use PIKES for batch processing documents. 2017-04-18 Added documentation in download page. 2016-08-18 Paper accepted at IEEE TKDE journal! 2016-02-23 Paper on using PIKES for Information Retrieval accepted at ESWC 2016 conference! 2015-08-07 Demo accepted at ISWC 2015 conference!